For our second outing, we’re delighted to welcome sheep farmer, blogger, broadcaster, historian and archaeologist, Francis Pryor. We’ve distracted him from working on his forthcoming novel The Lifers’ Club, to ask him to peer towards the inevitable future, and to organise travel arrangements accordingly. Francis Pryor, preparing for dispersal. 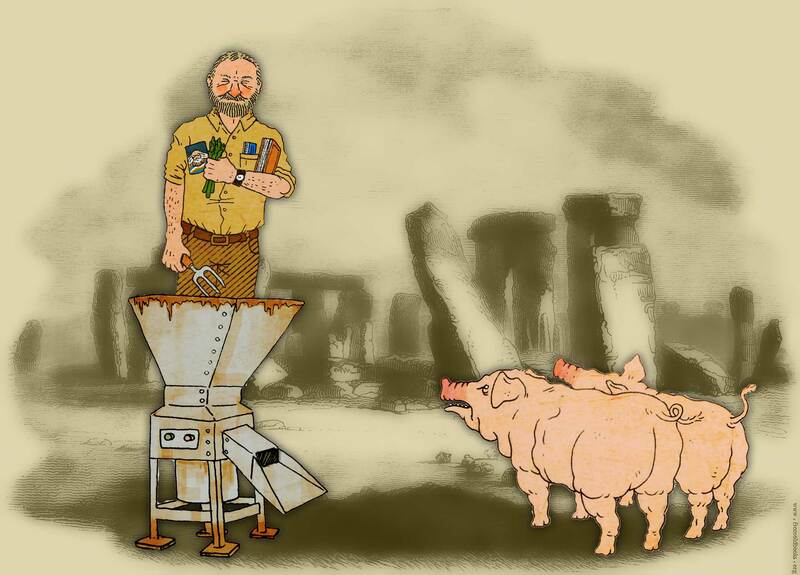 The original ‘Francis and the beet grinder.’ artwork was created by the talented Alistair Seamer. The Stonehenge background was discovered at Liam Quin’s fabulous website, From Old Books, and originally appeared in Charles Knight’s “Old England: A Pictorial Museum” (1845). 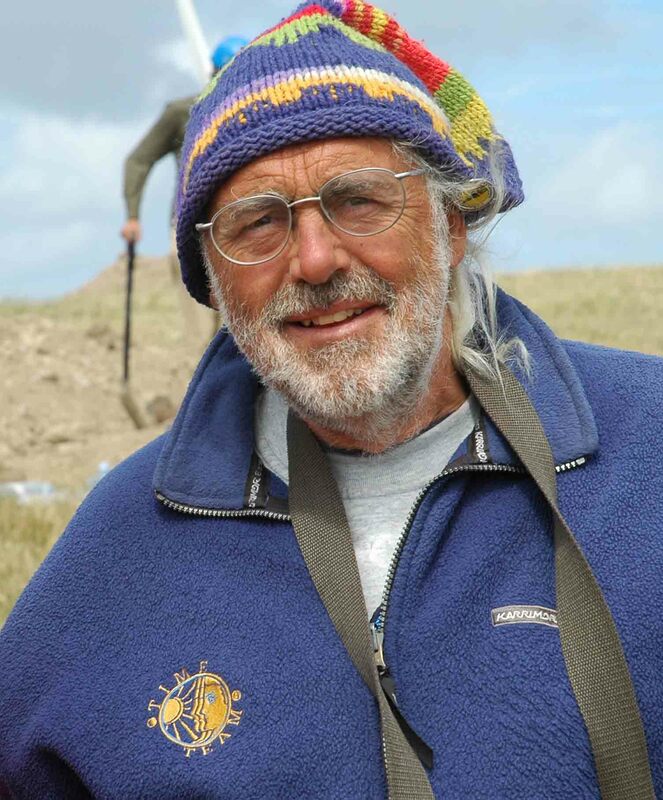 Mick Aston, RIP. Francis’ chosen image of a friend to remember fondly. An image of dear old Mick Aston (RIP). Francis Pryor was born in London in 1945. After studying archaeology at Cambridge he emigrated to Toronto where he joined the staff of the Royal Ontario Museum. Using the Museum as a base, he began a series of major excavations (1971-78) in England, at Fengate, on the outskirts of Peterborough. Here he revealed an extensive prehistoric landscape, culminating in the discovery, in 1982 of Flag Fen, one of the best preserved Bronze Age sites in Europe. His books include his ‘Britain’ series (for HarperCollins): Britain BC , Britain AD, Britain in the Middle Ages and The Birth of Modern Britain, the first two of which were successfully adapted for television and broadcast by Channel 4. In 2010 he published (with Penguin) The Making of the British Landscape. 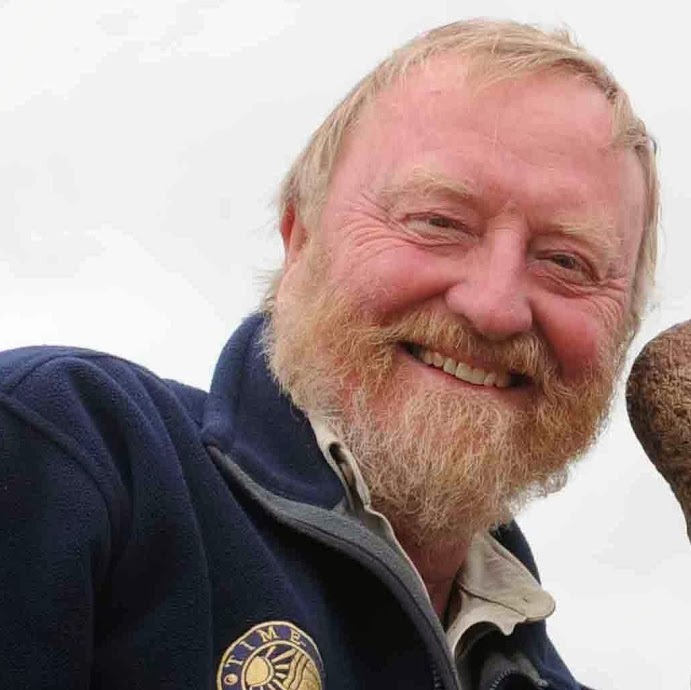 He has appeared frequently on Time Team and has presented a number of programmes for Radio 4. The Lifers’ Club is his first work of fiction. It chronicles the adventures of legendary circuit archaeologist Alan Cadbury, and will be available soon. His blog ‘In the Long Run‘ chronicles the trials and tribulations of writing, broadcasting, sheep farming, gardening and archaeology. Francis is also a regular Tweeter – you can follow his account here.